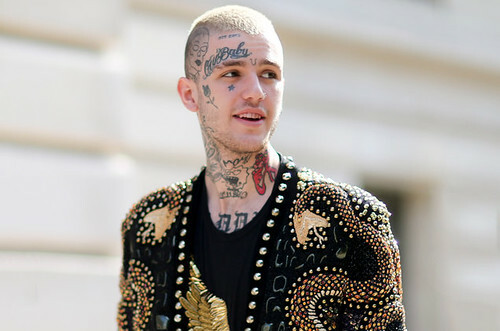 Gustav “Gus” Elijah Åhr (November 1, 1996 – November 15, 2017), known professionally as Lil Peep (often stylized as LiL PEEP or ☆LiL PEEP☆ and commonly referred to as simply Peep), was an American singer, rapper, songwriter and model. iLoveMakonnen has released the new video for “I’ve Been Waiting,” the collaboration between him and Lil Peep, who died of an overdose in 2017. The video, directed by Andrew Donoho and featuring Fall Out Boy, takes place in a fantasy landscape. A dedication at the beginning of the video reads, “Dedicated to all those people that want to feel magic around them. And also to Peep, who inspired this magic.”. Watch the video ( Lil Peep & ILoveMakonnen – I’ve Been Waiting ) and tell us what you think! (I’ll be waiting for you).